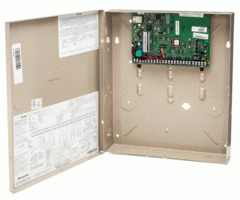 The Honeywell VISTA 15P, 20P and 21iP are hardwired security systems that can each serve as the central hub for a user's security setup. Since these systems do not come with their own display screen, a user may feel somewhat intimidated when working with one of these panels. Fortunately, setting up and programming a Honeywell VISTA system is not so difficult once you know the proper commands and inputs. This guide will help you conduct basic tasks with your VISTA panel so that you can get the most out of your security system. Throughout this cheatsheet, you may be asked to consult the VISTA Programming Guide to find more detailed instructions for any given process. In order to use a VISTA system, you will need an alphanumeric keypad for programming and controlling the panel. A great keypad for this purpose is the Honeywell 6160RF Keypad. This keypad will allow you to control your VISTA panel with relative ease, and it includes a built-in high capacity wireless receiver so that you can use wireless sensors with your system. 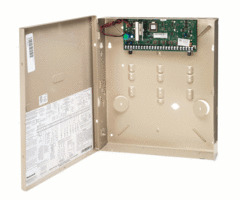 Without a 6160RF, or a separate standalone wireless receiver, the VISTA-15P, 20P and 21iP would only support wired zones and you wouldn't be able to program Honeywell wireless 5800 Series devices until you added a receiver. Although only one keypad is necessary, some users may choose to add multiple keypads to their VISTA panel so that they they can have multiple points of access to, or egress from, their system. Any keypad that is added to the system must have it's own unique address, which can be set by following this FAQ. The first keypad of partition 1 must be assigned address 16. Programming locations190 through 196 will define the attributes for any keypads that are assigned to addresses 17 through 23. Note: Unlike other programming entries, *56 is a special sub-menu mode for programming zones for the system which acts differently than a regular programming field. If you don't have an alphanumeric keypad, the display on your keypad will blank out when entering this mode. Therefore, we never recommend accessing this mode unless you're using an alphanumeric keypad. For a complete list of data fields within programming mode, please see the programming guide. Programming fields start at number 20 and range all the way to number 199. However, not every value between 20 and 199 represents a valid data field. Once you have entered into a data field, enter in the digits needed to make the desired changes. After the digits have been entered, the keypad will beep three times to confirm that the changes were made, and the system will automatically move to the next data field in sequence. Valid entries for each specific data field can be found in the VISTA programming guide. In fields where all possible digits may not be used, such as in the Primary Central Station Phone Number [*41], press [*] after the entry of the last digit to let the panel know that you have completed your entries for that field. The system will beep three times for confirmation. One of the first things you will want to do when setting up your VISTA system is to program user codes. These codes are needed for arming and disarming the system and for making changes to the system settings. Each code will be assigned a different 2-digit user number in order to differentiate it from other codes. Some code types are required to be used with a specific user number. Up to 32 codes can be used with a VISTA 15P system, while a VISTA 20P or 21iP can support up to 48 codes. (Hard Coded) N/A Used for entering programming mode. Can arm the system, but can only disarm if it was the code used to arm the system. Cannot be deleted. Programmed in programming location *20. (Hard Coded) N/A Can perform all security functions, add/delete users, change current Master Code, view event log, set system clock, program keypad macro, program scheduled events, activate output devices. Cannot access programming. Cannot be deleted. User For VISTA15P, can be any value between 03 and 33. For VISTA 20P and 21iP, can be any value between 03 and 49. 0 Can arm/disarm the system. Cannot add/delete users, view event log, set system clock or program scheduled events. Arm Only Same as User. 1 Can only arm the system. Cannot disarm. Guest Same as User. 2 Can arm the system, but it can only disarm the system if it was the code used to arm the system. Duress Same as User. 3 Can disarm the system, but when Duress reporting is enabled, it will send an alert to the central station requesting immediate police dispatch. Should be used in emergency situations only. Partition Master (20P and 21iP only) Can be any value between 03 and 49. Partition 1 is default to 03, and Partition 2 is default to 33. 4 Same as the Master Code, but limited to specific partition only. Since the 15P only has one partition, it is not necessary to have any codes of this type on a VISTA 15P. Please note that the default Installer Code for a VISTA panel is 4112. This code will always be assigned to user number 01. There is only one Installer Code per system. We recommend leaving this code at its default setting so that you do not become locked out of programming. You will not be able to use your Installer Code to disarm your system, unless it was the code used to arm it in the first place. Additionally, there can also be only one Master Code per VISTA system. The default Master Code is 1234. However, it is strongly advised that you change this code in order to prevent others from accessing your system. The Master Code will always be assigned to user number 02. Active Partitions 3 1, 2 and 3. Partition 3 is the common partition. Can be assigned to multiple partitions. Enter in the desired partitions consecutively, then press [#] when finished. RF Zone Number 4 Assigns user number to button type zone for arm/disarm. Alpha descriptors are used to name zones so they can be easily identified by the user by using an alphanumeric keypad or through Total Connect. If you have alpha descriptors programmed, but you are using a Fixed English keypad, the alpha descriptors will not be displayed. Once an alpha descriptor has been set up for a zone, it will be identified by an English language description (e.g. Front Door, Kitchen Smoke Detector, Back Window, etc.) instead of just a 2-digit zone number. When setting up an alpha descriptor, each word will be represented by a unique 3-digit code. For a complete list of possible words and their respective 3-digit codes, please consult Page 11 of the VISTA-21iP Programming Guide (different from the standard VISTA Programming Guide). For detailed instructions on how to program alpha descriptors, please follow this FAQ. A wireless keyfob is a device that allows you to control your VISTA system without having to work from the keypad. This can be very convenient for quick arming and disarming, as well as for arming/disarming from outside the protected premises. When setting up a four-button wireless keyfob, remember that each programmed button (or dual-button presses) will require a wireless zone to be programmed with the system. This means that each keyfob can potentially use up 8 wireless key fob zones if dual-button presses are used. Each keyfob button that's programmed for a system arm or disarm command needs to be assigned to a user code slot for the command to function. The user code slot must have a valid 4-digit code assigned to it in order for it to work properly. Only system arm and disarm commands require these types of assignments. Once a zone has been assigned to a user, all of the other zones with the same serial number (on the same keyfob) will also be automatically assigned to that same user. In other words, it is only necessary to complete this user-assigning step once per keyfob device. For more information on setting up a wireless keyfob, please consult pages 22 and 23 of the VISTA Programming Guide. If you do not have a phone line connected with your system, you will want to clear the telephone programming fields to prevent a "Comm Failure" message (Alphanumeric Keypad) or an "FC" message (Fixed English Keypad) from being displayed. This will prevent the system from attempting to call out and causing a communication failure. By default, the telephone programming fields are zeroed out, and the system will not attempt to dial out. However, if you accidentally input a digit into one of these fields, the system will attempt to dial, and you will get one of the previously mentioned error messages. Doing this will clear locations 41, 42 and 94 from the system and disable location 92. After the input has been entered, the system will no longer attempt to dial out or supervise a phone line. In the event that an alarm goes off on your VISTA system, you will need to clear it in order to restore the status of your system. If an alarm occurs on your system and you do not clear it shortly after it occurs, the system will display which zone was affected. To clear this information, you will need to enter a valid User Code or the Master Code followed by the number 1. Then you will need to enter in the same inputs a second time. The first entry will disarm the system, while the second entry will reset the zone, if necessary, and clear the alarm message from the display.